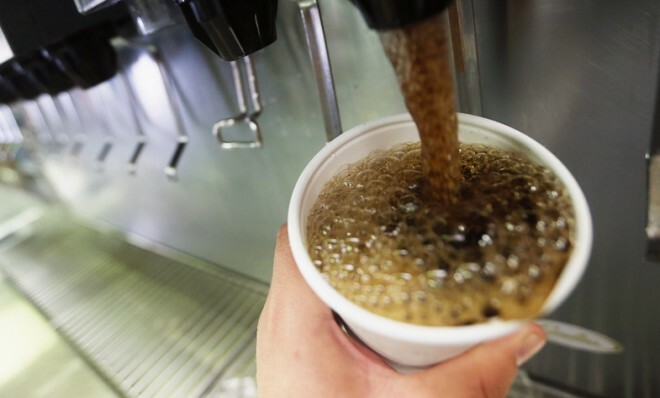 Everyone knows that drinking regular soda is bad for you – it's full of sugar! 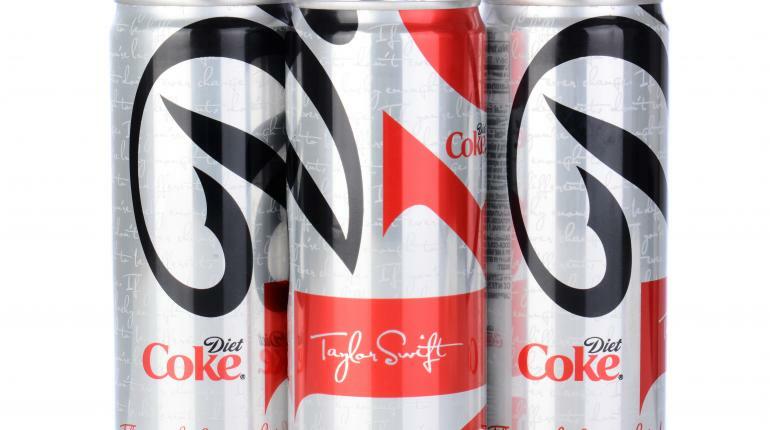 But what about diet soda? It's zero calories and has the same great taste, so it MUST be the better alternative if you want to lose weight, right? Well, let's find out. But is there more to this chemical cocktail than meets the eye? 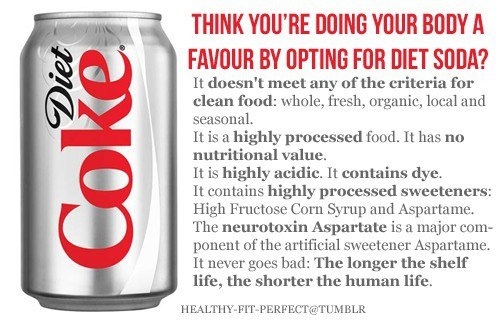 1) Diet soda is loaded with artificial sweeteners and chemicals that can be harmful to your body. Most are sweetened with at least one of these sugar substitutes: acesulfame potassium (marketed under the brand names, Sunett®, Sweet One®), aspartame (Equal®, NutraSweet®), or sucralose (Splenda®). 2) Diet soda confuses our body as artificial sweeteners have more intense flavor than real sugar, so over time products like diet soda dull our senses to naturally sweet foods like fruit, says Dr. Brooke Alpert, author of The Sugar Detox. 3) It's associated with an increased risk of type 2 diabetes. In a University of Minnesota study, drinking one diet soda a day was associated with a 36 percent increased risk of metabolic syndrome and diabetes. 4) Women over 60 are already at a greater risk for osteoporosis than men, and Tufts University researchers found that drinking soda, including diet soda, compounds the problem. They discovered that female cola drinkers had nearly 4 percent lower bone mineral density in their hips than women who didn't drink soda. According to a new research from Wells Fargo, low-calorie and zero-calorie soda sales slipped about 7% over the past year. Regular soda has fallen just over 2%. Though diet sodas and other low-calorie drinks are advertised a being a healthier substitute to sweetened drinks, a new study found that overweight people actually eat more calories when they drink diet sodas. Several studies in the past couple of years have torn holes in the theory that zero-calorie sodas mean zero weight gain. Diet soda, it turns out, may not be the panacea for weight loss that we all thought - and many hoped - it was. 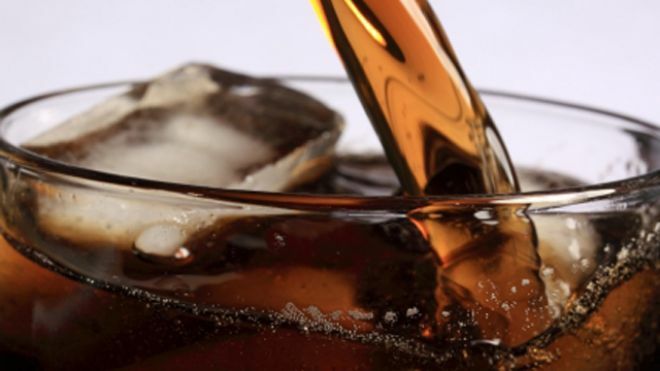 In fact, a Purdue University study has found that diet sodas may be linked to a number of health problems from obesity to diabetes to heart disease, just like their more sugary counterparts. 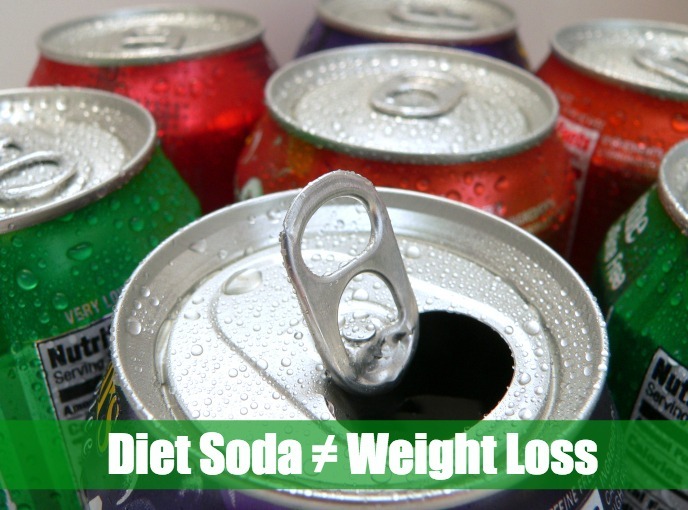 According to a research presented at the American Diabetes Association’s (ADA) Scientific Sessions in 2011 showed the opposite is true—diet sodas can actually contribute to weight gain. Here's How. There are a few theories. First, scientists speculate that artificial sweeteners fool more than just your palate; they also fool your brain. When you taste something sweet, your body naturally expects a calorie-load that diet beverages don’t deliver. As a reaction, the metabolic system may start converting the sugar that’s already circulating in the blood into fat, on the assumption that more has just come in that can be used as energy. In the alternative, the body may go in the other direction, burning though the circulating sugar so that the incoming soda doesn’t leave you with too much. But since the soda has no sugar at all, you wind up with a net loss—which may lead to a craving for candy or some other high-sugar snack.